One of the most difficult areas of the Christian life is learning the ability to mirror Jesus in the way we live our daily lives. It is all about the Christian calling to discipleship and adhering to the words of the Lord. What does this mean for the average Christian in their daily life? Martyred Lutheran pastor, Dietrich Bonhoeffer, in his classic work The Cost of Discipleship helps followers of Jesus see the need for a full picture of daily Christian living. Drawing from the Sermon on the Mount, we find here a compelling statement on the demands of sacrifice and living with consistency in belief and action. This isn’t a book absent of an author that lived out these things written here. This is a book that every Christian must read and allow it to engage their lives going forward. Costly grace is something all Christians are called to embrace. Dietrich Bonhoeffer was born in Breslau, Germany in 1906 during a transition time in Europe. His father was a famous psychiatrist which allowed for him to receive a great education, studying both in Berlin and New York City. He would never stay away from Germany for long because of his deep calling to lead his people spiritually. 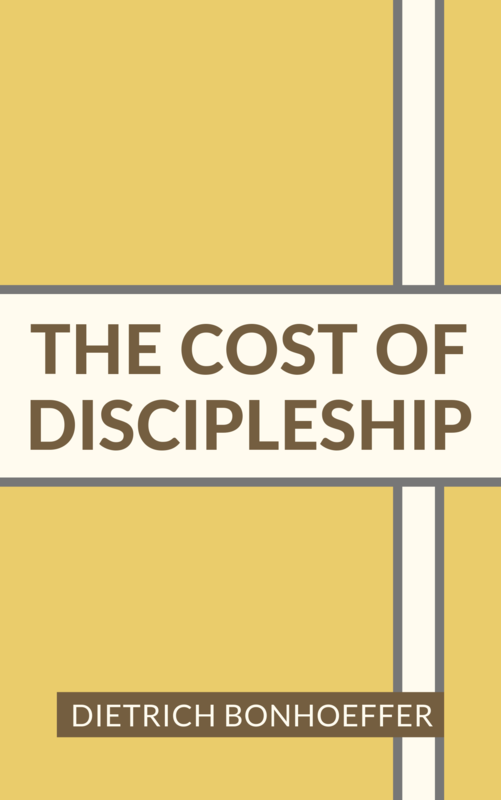 Bonhoeffer is considered one of the best writers on this topic of the cost of following Jesus. As a Lutheran pastor he became the key member of the Confessing Church, which opposed the ways of the State Church of the Nazis. He would be highly outspoken of the Nazis regime, even to the point of being linked to attempts to assassinate Hitler. Eventually these plots would cost him his life, and after two years in prison, in April 1945, he was hanged at the Flossenburg Concentration Camp. Dietrich had a strong balance of standing on foundational truths and the deep desire to live out the Christian life through “costly grace.” He was known as a great theological and spiritual leader for Germany during a difficult time for the country. He wrote several other great works, mostly during this period that he suffered greatly for his beliefs. His book, Life Together, is a great work on the idea of genuine Christian community. Also, in Letters and Papers from Prison we find a broken but resolute Bonhoeffer providing us with a theology of suffering, much in the vein of C.S. Lewis’ Problem of Pain.